The content creation division of TEN. Utilizing a unique hybrid model designed to meet the ever-changing relationships between brands and their consumers, our unified team of marketers, producers, directors, artists, and strategists live under one roof and create work across all content disciplines. This model allows for conceptual continuity, fiscal economies of scale, and authentic connectivity to the most influential of automotive and outdoor players. Big Block is a entertainment company creating content for today's modern audience; four distinct companies sharing a common passion with a presence in the commercial, theatrical, feature film and reality TV marketplace. Situated in sunny Hollywood, Encore Hollywood offers file-based post production services, including 4K workflows and near-set dailies, along with high caliber visual effects. 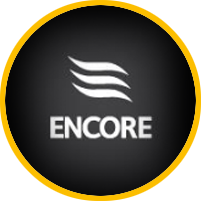 The largest Encore facility and company headquarters, we work closely with our studio partners to ensure a top-level experience across locations. Way ahead of the curve and the largest privately owned studio in China, Phenom Films is emerging as a world renowned digital production and new media studio.